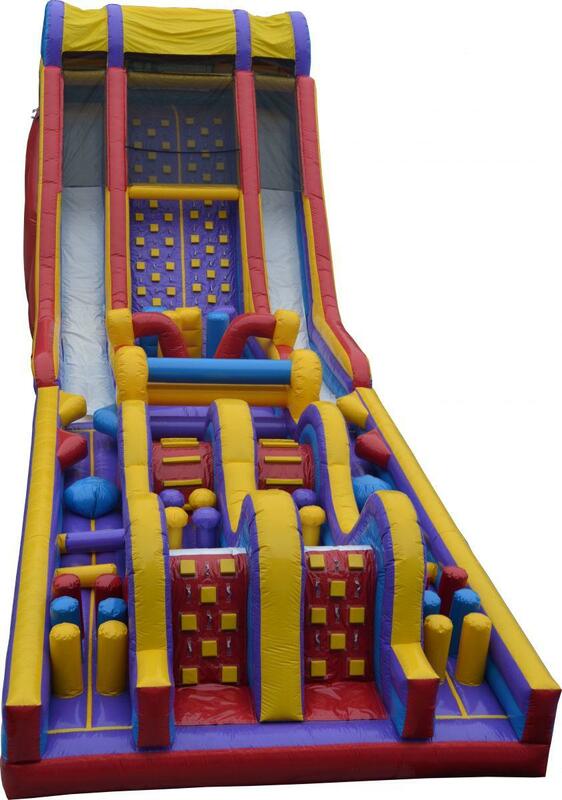 This inflatable is massive, two lanes that total over 120 feet in length with multiple slides, popups, popouts, logs, bumpers, rock climb areas, tunnels, split walls and a gigantic slide, makes this the BIGGEST interactive obstacle course in Central Florida. This is the perfect addition to the larger events in Lakeland, Auburndale, Eagle Lake, Winter Haven, Bartow, Orlando, Tampa, Brandon and all surrounding areas. 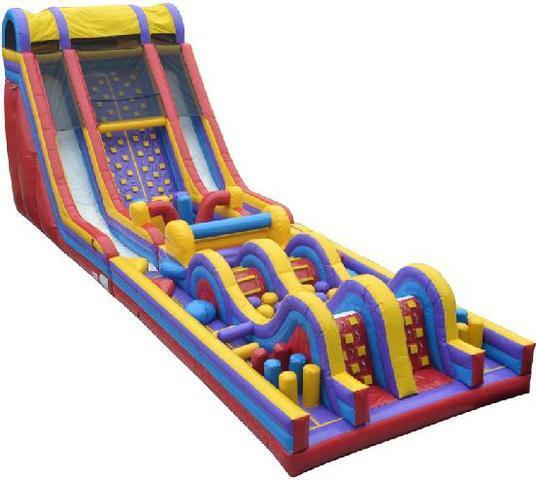 We can also make this unit up to 100 feet long overall, with the actual obstacle lanes being 160 feet in total length of course! Give us a call and we can adjust this unit to our best ability to make your event the best ever.